PLEASE NOTE: Subject to change without notice. Certain PRIVATE and CORPORATE EVENTS are not listed. listed for that date & location to purchase tickets. Thanks! 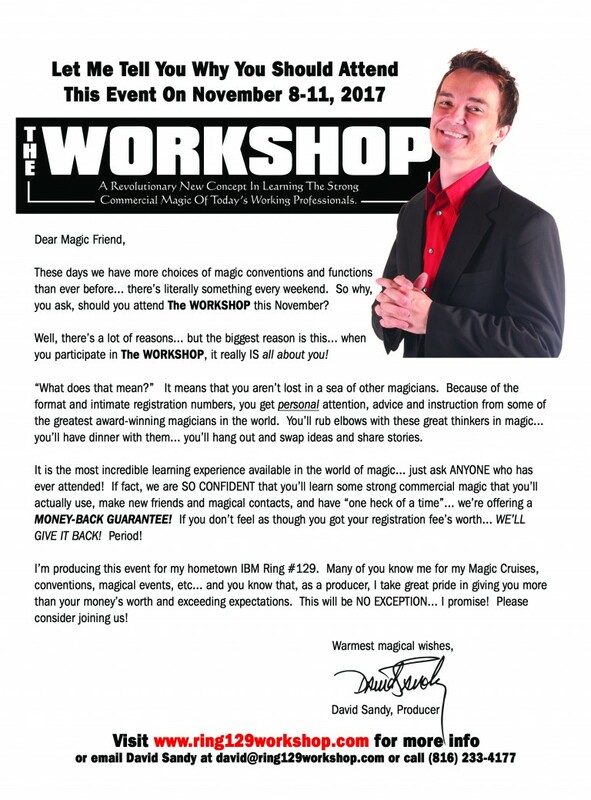 David Sandy proudly presents his acclaimed workshop series, aptly called “The WORKSHOP”. 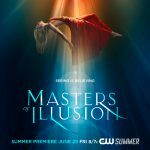 This 4 day event is designed for artists and performers to learn from literally the BEST in the BUSINESS when it comes to magic, comedy, writing, and performance. 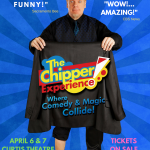 Chipper will be conducting his ‘Creating Comedy’ lecture, along with a hands-on workshop where routines performed by participants are critiqued for the stage,and reviewed in person, to help demonstrate how to “find the funny” in your magic routines, from beginning to end.